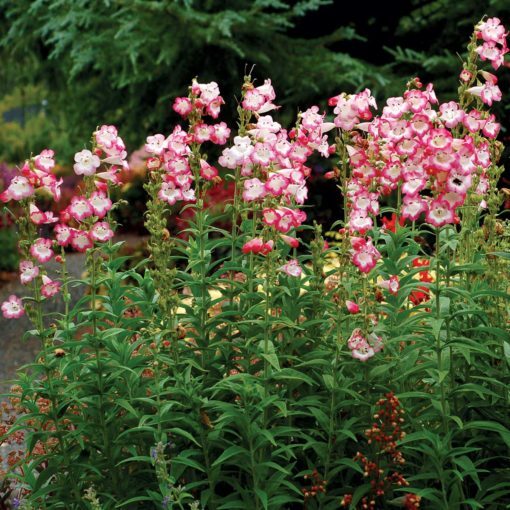 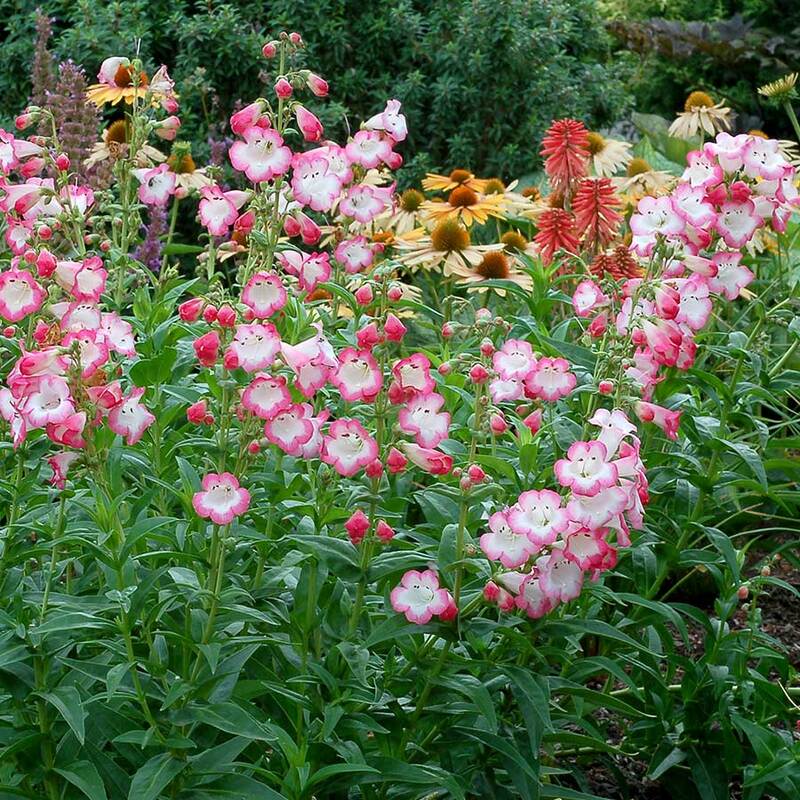 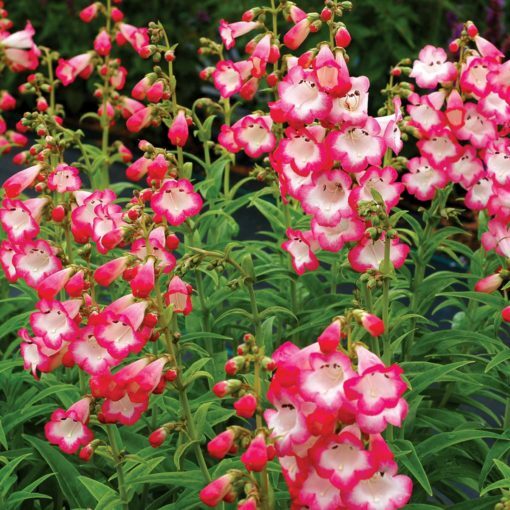 Penstemon ‘Watermelon Taffy’ | TERRA NOVA® Nurseries, Inc.
Watermelon-pink blooms with a white eye cover this plant. 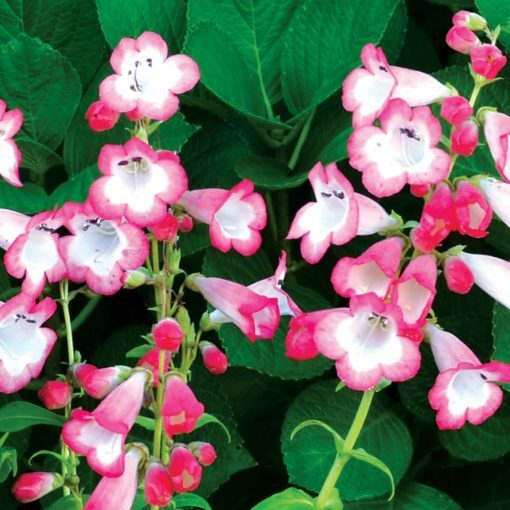 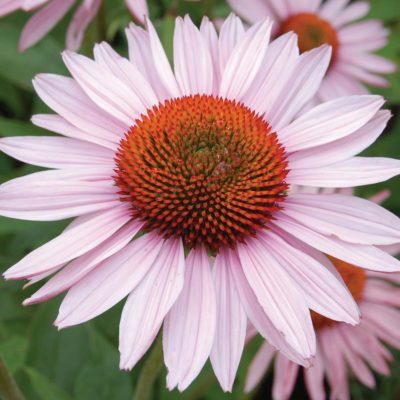 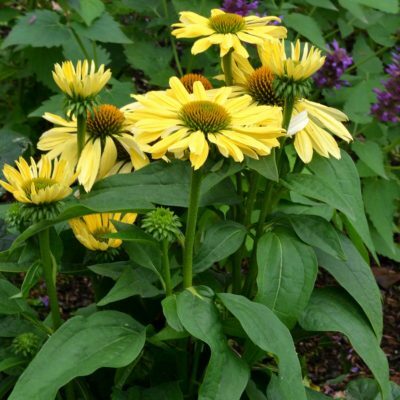 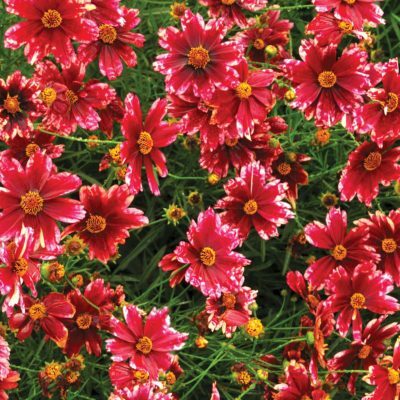 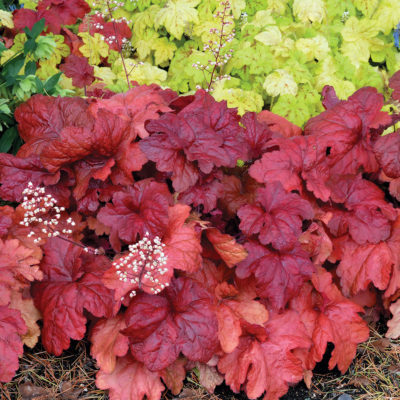 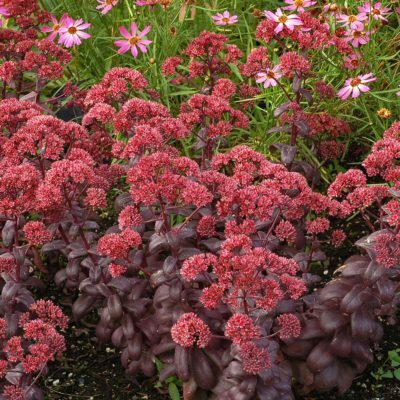 Vigorous and showy, these great bloomers provide flowers for up to 20 weeks! 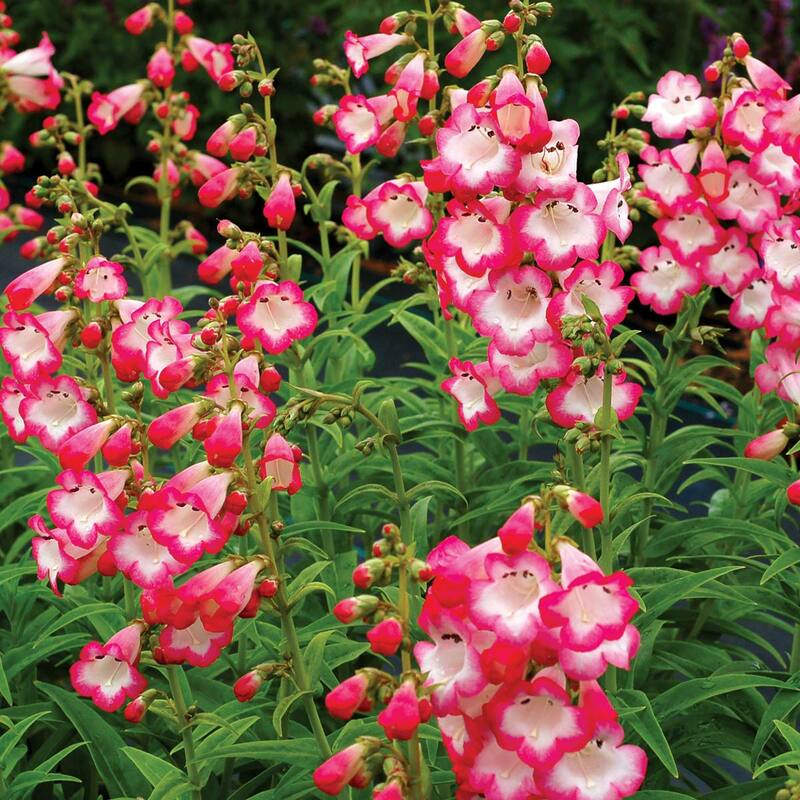 The great crown count and upright, short stems will bring you back for more from our TAFFY™ Series. 18" / 18" / 28"
Compared to 'Phoenix' pink the flower color is darker, the plant is better branched.